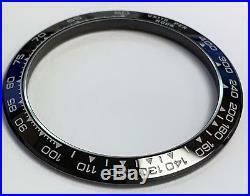 T his is an aftermarket 100% ceramic bezel in black with white engraved numbers. 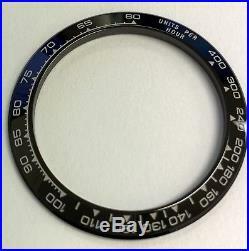 For Rolex Daytona models, fit all models, also the zenith movements. 38.2 AND INNER 30.6 APPROX. The item "CERAMIC BEZEL FOR ROLEX DAYTONA IN BLACK With WHITE ENGRAVED 4 ALL DAYTONA MODELS" is in sale since Saturday, January 28, 2017. 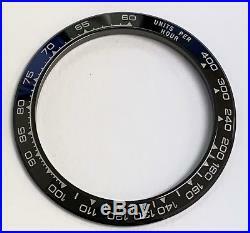 This item is in the category "Jewelry & Watches\Watches, Parts & Accessories\Parts, Tools & Guides\Parts\Bezels & Inserts". The seller is "watchespartsoutlet" and is located in Miami, Florida. This item can be shipped worldwide.